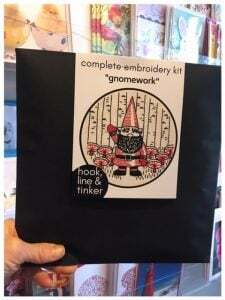 Stop into The Village Quire in Westboro Village and shop for the perfect gift. Spring in Ottawa means a mixed bag of weather. Stop by and pick up a DIY crafting kit to help wile away the grey, rainy days ahead! Hook, Line and Tinker is an adorable artisan line that comes by way of Nova Scotia. 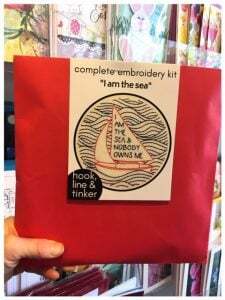 This embroidery kit comes with everything you need to stitch a sweet little something to keep for yourself or to gift to a friend or family member. 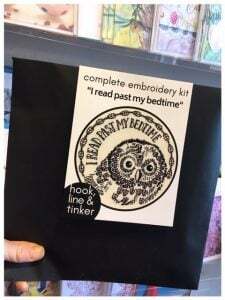 Each envelope comes with the image printed on natural, cotton fabric, a wooden hoop, embroidery floss and instructions. Need a little something for a kid this Easter? Kid Made Modern is adorable. 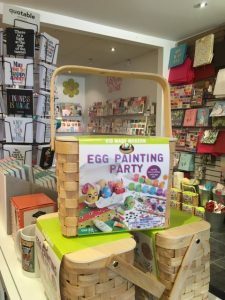 This Easter Party Kit comes with paints and brushes, sequins, googly eyes and six wooden eggs that nestle in their own egg carton. Next time you pass through Westboro Village, I hope you will stop by The Village Quire for perfect gift ideas this spring.